A team of researchers that looked into volcanic super-eruptions and potential advance warnings discovered both good news and bad. On the positive side, the mega explosions, which are powerful enough to lay an entire planet to waste, can be detected ahead of time. On the downside, the telltale signs only appear about a year before the big blast comes. The team, two scholars hailing from Vanderbilt University and the University of Chicago, focused their research efforts on eastern California's Bishop Tuff, where a super-eruption occurred roughly 750,000 years ago. Of particular interest to them were the quartz crystals in the area. By building upon previous studies that correlated the presence of a particular rim with the eruptions, they were able to determine the crystals develop the notable feature within the 12 months leading up to the event. One of the researchers offered assurances that none will be occurring anywhere in the foreseeable future. The idyllic Greek island's picturesque white houses are actually perched on overlapping shield volcanoes. In fact, the group of islands was entirely formed by volcanic activity. The eruption of Santorini in Greece in 1,650 B.C. was perhaps one of the largest witnessed by humans. The most recent eruption occurred in 1950, and there has been ongoing seismic activity ever since. The southern Italian city is precariously located between Mount Vesuvius, and a lesser-known threat, the Campi Fiegrei caldera. The latter is a supervolcano that has been called 'the most potentially hazardous on the planet.' Its last eruption was just in 1538. There has been activity in recent years like earthquakes and parts of the caldera rising. If it were to erupt, the Campi Fiegrei would kill millions. But for now, it is just a tourist attraction like Naples’ famous pizza. Mount Rainier last erupted in the 19th century and has been closely watched by scientists ever since. U.S. Geological Survey has described Mount Rainier as 'an active volcano that will erupt again.' It is located about 58 miles southeast of Seattle, which may seem far, but suburbs and tourism surrounding the mountain put many at risk. Mount Fuji has erupted at least 16 times since 781 A.D., with the most recent occurring in 1707-1708. In 2011, an earthquake caused geographic disturbances in Japan. Florent Brenguier, a researcher at the Institute of Earth Sciences put out an ominous warning, stating "our work does not say that the volcano will start erupting, but it does show that it's in a critical state." Last year, Mount Fuji climbers were urged to wear helmets in case of an unexpected eruption. 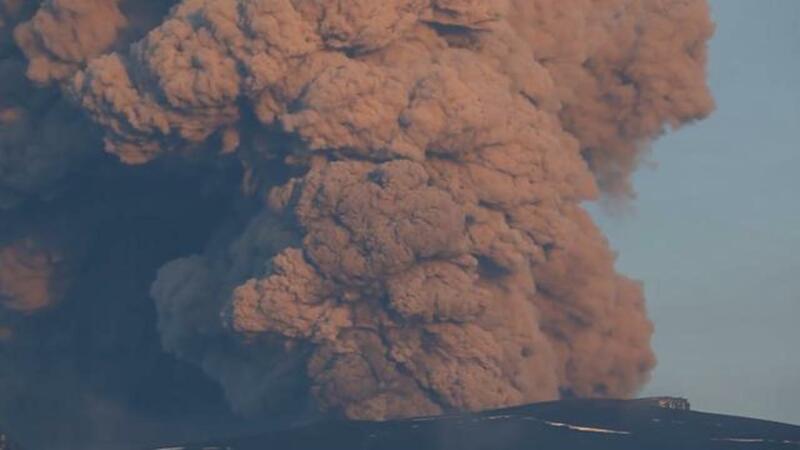 Dramatic footage from April 2016 showed ash two miles high spewing out of Popocatépetl volcano in Mexico. As many as five daily explosions occurred in the beginning of July 2016. About 25 million people live within 62 miles of the crater of the stratovolcano, according to the Daily Mail. Mauna Loa is one of five large volcanoes that forms the Hawaiian islands. The whopping 60 mile-long volcano makes up nearly half of the entire island. Since 1832, Mauna Loa has erupted 39 times. According to USGS estimates, the volcano has erupted an average of once every 6 years over the past three millennia. Mont Pelée looms over this stunning French island in the Caribbean. It is a haunting reminder of the eruption of 1902, which wiped out the former capital of St-Pierre, known at the time as the ‘Paris of the West Indies.’ There were only two known survivors out of 28,000 in the town. Despite its tragic past, the island has become a hotbed of tourism again thanks to its beautiful beaches and French connection. Until recently, tourists and amateur mountaineers in Ecuador were drawn to Cotopaxi, a quiet, snow-capped volcano only 34 miles away from the capital city. But in 2015, seismologists recorded hundreds of earthquakes and the volcano began to release a plume of ash. After 75 years of inactivity, the volcano now poses a threat to the millions who live nearby. And Cotopaxi isn’t the only volcano threatening locals and tourists. There are at least six that foreign governments, like the U.K., are warning potential visitors about. The iconic Tanzania mountain is comprised of three volcanic cones: Shira, Kibo and Mawenzi. The last major eruption from Kibo occurred 360,000 years ago, but minor volcanic activity happened 200 years ago. Although there has not been any recent activity, Kibo is dormant, not extinct, which still poses a risk to one of world’s favorite places to climb.